LANSING, Mich. — Sen. Curt VanderWall, R-Ludington, (left) welcomed the Rev. Chuck Towersey to the Michigan Capitol on Thursday. 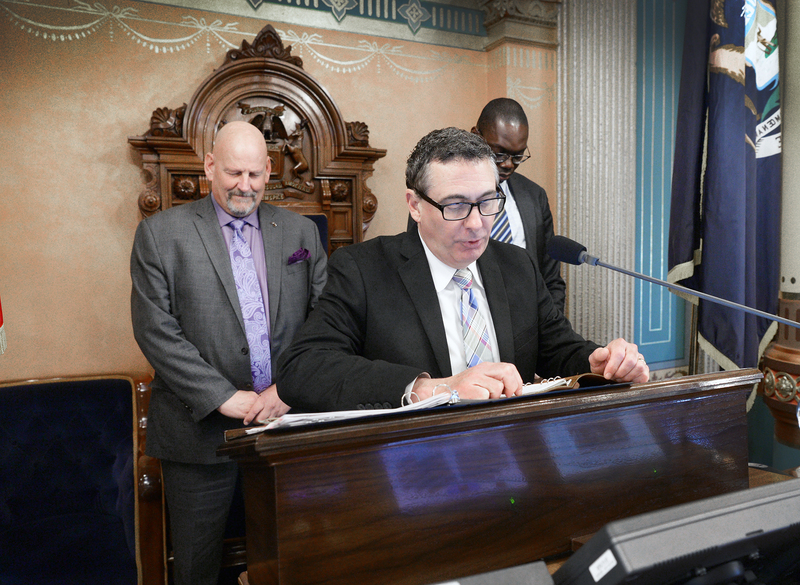 Towersey serves as pastor at Fresh Wind Christian Community Church in Interlochen and delivered the daily invocation before the start of the Senate session. Also pictured is Lt. Gov. Garlin Gilchrist. Note: For a print-quality version of this or other VanderWall photos, click the image or select Photos under the In the News tab, above. . A video of the invocation is available at www.SenatorCurtVanderwall.com/video.